Cost: You&apos;ll need a helmet and a $20-$50 entry fee, plus SCCA membership dues ($65-90 depending on the region) if the event is sanctioned by that body. Don&apos;t forget to factor in the wear and tear of having the underside of your car assaulted by gravel too. 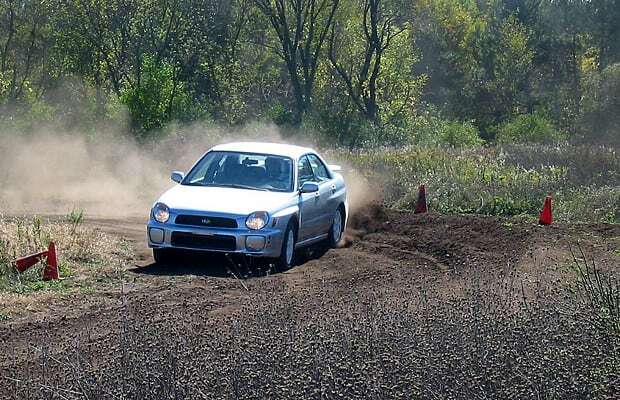 Race Format: It&apos;s autocross on dirt; nothing but cones and an open field. Whoever sets the astest times wins. Risk of Bodily Harm: Like autocross, it&apos;s very difficult to get hurt rallycrossing. If you&apos;ve always wanted to rally race but really don&apos;t feel like dying by driving off a cliff and impaling one&apos;s self on a tree, this is perfect.